The No. 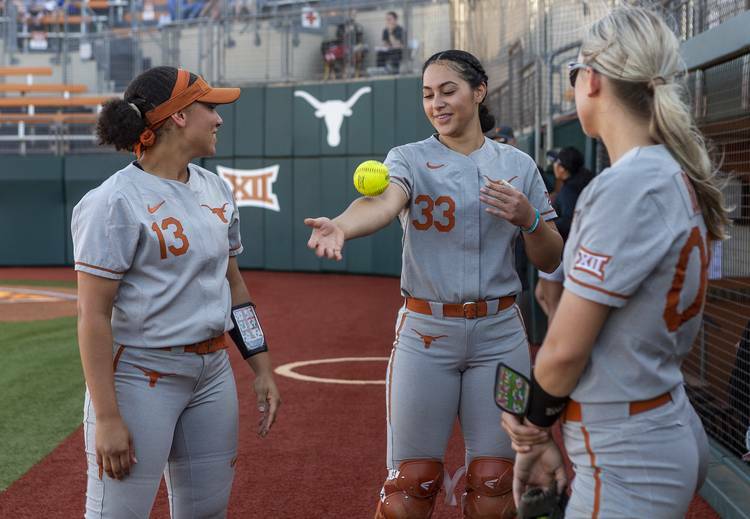 11 Texas softball team allowed just three hits and cruised to a 5-0 win over Houston at McCombs Field on Wednesday night. Mary Iakopo went 3-for-3 with a home run, two runs scored and three RBIs to lead the offense. Lauren Burke went 2-for-3 with an RBI while Bekah Alcozer also drove in a run. Reagan Hathaway doubled and scored a run. Brooke Bolinger and Shea O’Leary combined to give up just three hits. Bolinger (8-3) got the start and the win, allowing two hits and striking out seven through four innings. O’Leary pitched three innings and gave up one hit to earn her first save of the season. 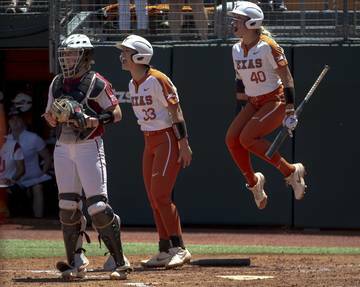 Texas started early, plating two runs in the first inning. Hathaway doubled before Iakopo hit a home run to make it 2-0. In the fifth, Iakopo stayed hot as she singled to score Janae Jefferson. Burke also had an RBI in the inning, driving home Shannon Rhodes on a single. Alcozer capped the scoring with a fielder’s choice that allowed Iakopo to get home later in the fifth. 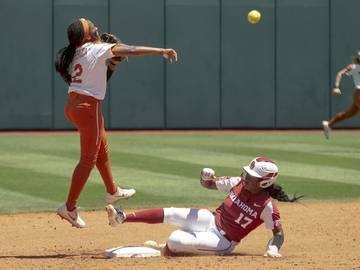 The Texas softball team has the weekend off before facing UT-Arlington Tuesday at 5 p.m. on the road. The Longhorns return to Big 12 action on Thursday, Apr. 18 at 6 p.m. when they begin a three-game series with Oklahoma.